A beautiful American spy flees into the night. On her own, she must live by her wits to evade capture and make it to the safety of the Allied forces. Lily Saint James grew up traveling the European continent, learning languages as she went. In 1938, her mother’s abrupt death brings her back home to Washington, D.C., and after the bombing of Pearl Harbor, Lily comes to the attention of the Office of Strategic Services (OSS). Her knowledge of German, French, and Italian makes her the perfect OSS Agent, and her quick thinking places her as a nanny in the household of an important German Army Colonel, where she is able to gather intelligence for the Allies. After her marketplace contact goes missing, she makes a late-night trip to her secondary contact only to find him under interrogation by the SS. When he commits suicide, she flees into the frigid winter night carrying false identification papers that are now dangerous and a mini film cartridge with vital strategic information. 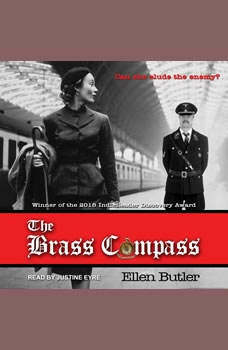 In order to survive, Lily must make it out of Germany, into the hands of Allied-controlled France, through a path fraught with peril.